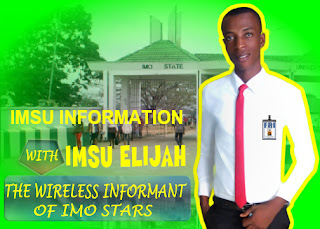 Former IMSU SUG director of Information and Mbaitolu Chairmanship aspirant ahead of the local government election in the state, Hon. Chidi Onyeji has on Wednesday 30th May praised the doggedness, generosity and diligence of Hon. Udochukwu Dickson, the organiser of Prince Madumere's fans club. The astute comrade described Udochukuwu as a blessing to human race maintaining that the world needs people of his kind to be a great place. In his birthday message to Hon. Ugochukwu, Chidi remarked that Hon. Udochukwu's rising political profile is a testimony to his generosity and doggedness, the same qualities that has given him all-round success as a student politician in IMSU.